In 1971, the economist Thomas Schelling performed a simple experiment that had a very surprising result. He was curious about the persistence of extreme racial segregation in the country. He knew that most Americans are not racists or bigots, that we’re generally happy to be around people who don’t look or think the same way we do. At the same time, he knew that we’re not entirely unbiased in the choices we make about where we live and whom we associate with. Most of us have a preference, if only a slight one, to be near at least some people who are similar to ourselves. We don’t want to be the only black person or white person, or the only liberal or conservative, on the block. Schelling wondered whether such small biases might, over the long run, influence the makeup of neighborhoods. 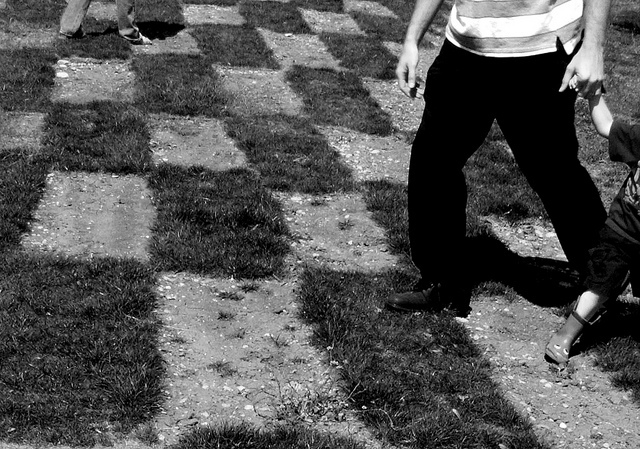 He began his experiment by drawing a grid of squares on a piece of paper, creating a pattern resembling an oversized checkerboard. Each square represented a house lot. He then randomly placed a black or a white marker in some of the squares. Each marker represented either a black or a white family. Schelling assumed that each family desired to live in a racially mixed neighborhood, and that’s exactly what his grid showed at the start: the white families and the black families were spread across the grid in an entirely arbitrary fashion. It was a fully integrated community. He then made a further assumption: that each family would prefer to have some nearby neighbors of the same color as themselves. If the percentage of neighbors of the same color fell beneath 50 percent, a family would have a tendency to move to a new house. is as simple as clicking a link. But Schelling’s experiment calls this view into question. Not only will the process of polarization tend to play out in virtual communities in the same way it does in neighborhoods, but it seems likely to proceed much more quickly online. In the real world, with its mortgages and schools and jobs, the mechanical forces of segregation move slowly. There are brakes on the speed with which we pull up stakes and move to a new house. Internet communities have no such constraints. Making a community-defining decision is as simple as clicking a link. Every time we subscribe to a blog, add a friend to our social network, categorize an e-mail message as spam, or even choose a site from a list of search results, we are making a decision that defines, in some small way, whom we associate with and what information we pay attention to. Given the presence of even a slight bias to be connected to people similar to ourselves—ones who share, say, our political views or our cultural preferences—we would, like Schelling’s hypothetical homeowners, end up in ever more polarized and homogeneous communities. We would click our way to a fractured society. Image: “Checkers” by Emily Cline. This entry was posted in Uncategorized on December 14, 2016 by Nick.